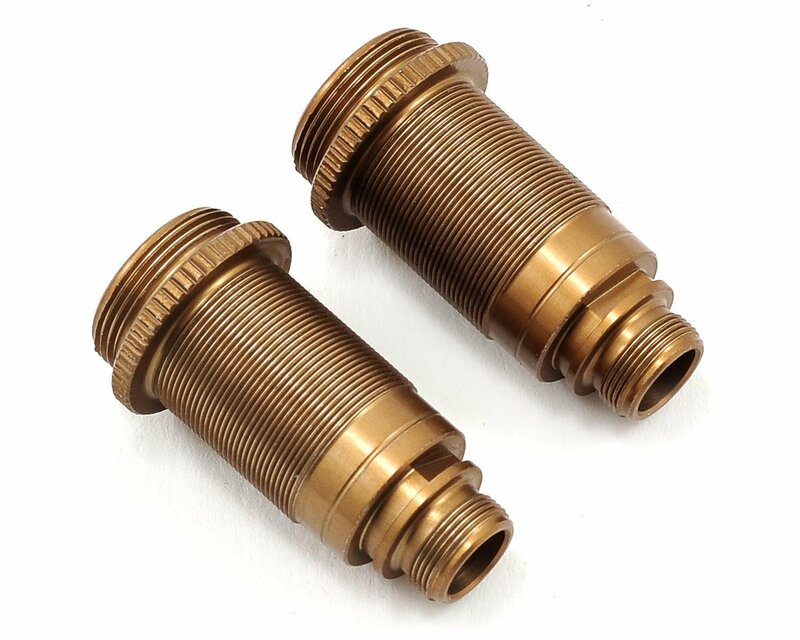 This is a pack of two optional Team Associated Factory Team 12x23mm V2 Fox Kashima Coated Buggy Front Shock Bodies. Team Associated is taking RC shock performance to the next level! 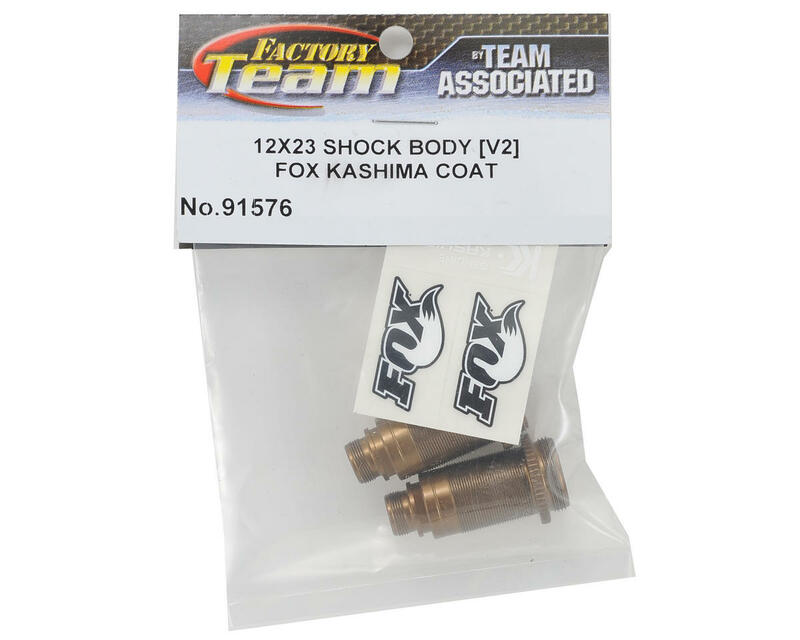 These shock bodies feature Genuine Fox Kashima® Coat, to provide the same buttery smooth performance, extended life and silky shock movement that is found on full scale Fox Factory Series forks and shocks.